from welcome to customer retention, manage all your email campaigns. Welkom.io's platform provides you with automated and preconfigured workflows so that you can easily manage all aspects of email marketing. Your subscription to our newsletter has been validated. The editor generates responsive emails to ensure the best display on as many devices as possible (PC, tablet, mobile, etc.). Our email editor is extremely intuitive and helps you create beautiful emails in a few clicks only. Choose your template, arrange your email using a drag and drop feature, adjust colors and content and that's it! 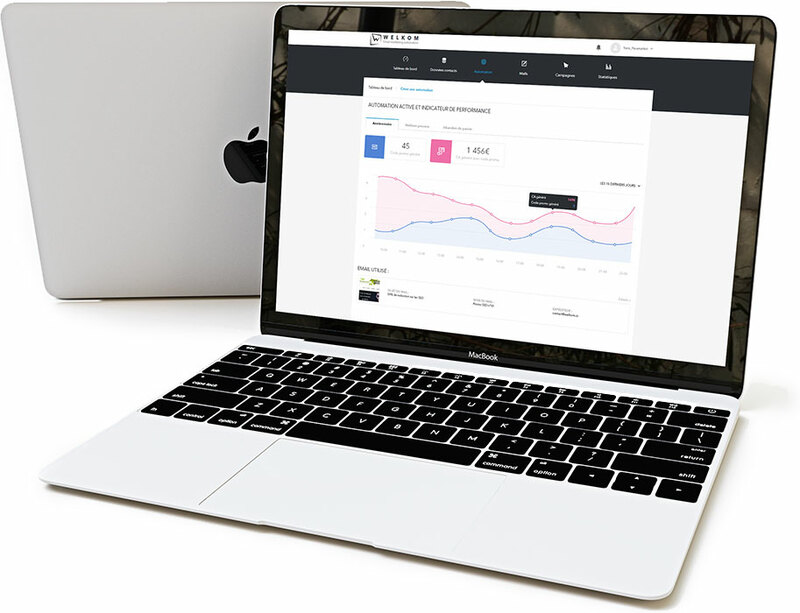 Dashboards Keep a clear view of your communication's efficiency with our statistics and activity reports, which are set up to provide you with the most important data in the blink of an eye.